Caption Slip reads: "Photographer: Glickman. Date: 1957-11-11. Reporter: Glickman. Assignment: Chris Skoby robbery kidnapped. 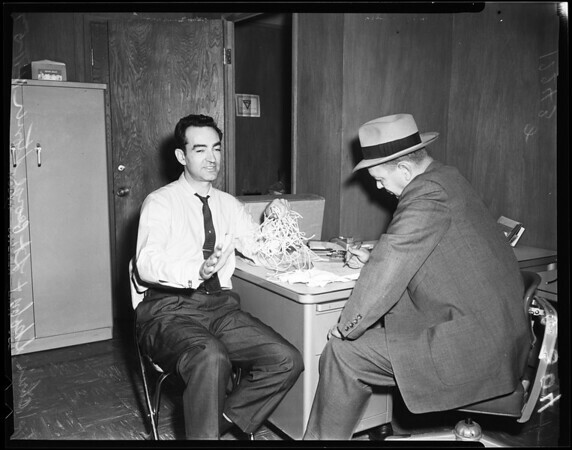 G304-305: Chris Skoby left tells Lt. George Stoner of West Valley detectives how he was tied with ropes on desk."